We started off the day by cooking our “big breakfast”. 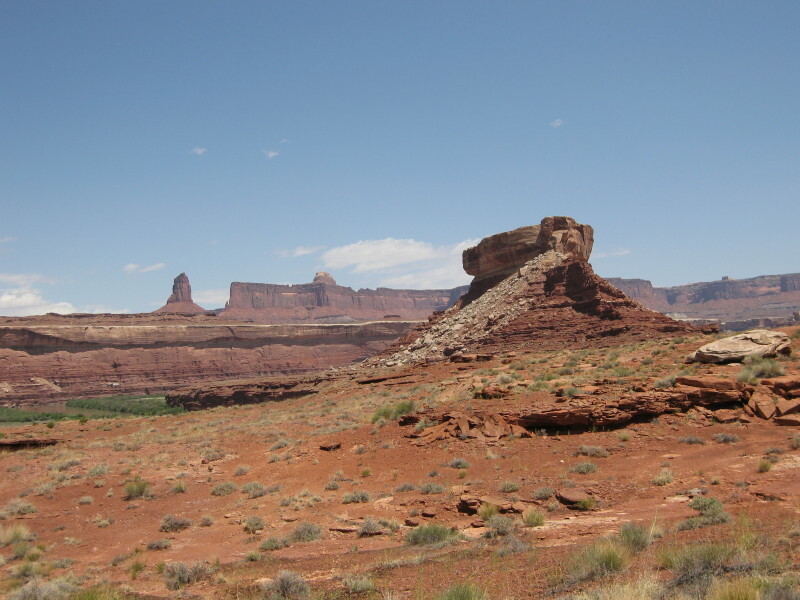 This all seemed like a good idea back in Moab, but bacon and eggs ended up taking just too long to cook. And cleaning the eggs out of the pan was a tough way to start the day. So we got started late, but we were well-fueled at least. Our flotilla didn’t stay together for long. Kevin and I spotted a side canyon that looked interesting. Paul, riding in the kayak, was able to motor upstream a short distance and join us, but Dave and Mark continued downstream. Soda Springs Canyon, mentioned by Edward Abbey in Down the River, had another inlet that we could paddle up. We were pleasantly surprised to find an egret at the end of the canyon. We beached the boats, grabbed our cameras and started to hike up this pleasant canyon. It was fairly wide, but light clouds overhead kept it cool. We walked up a number of twists and turns, and then found a spot to climb up on top. 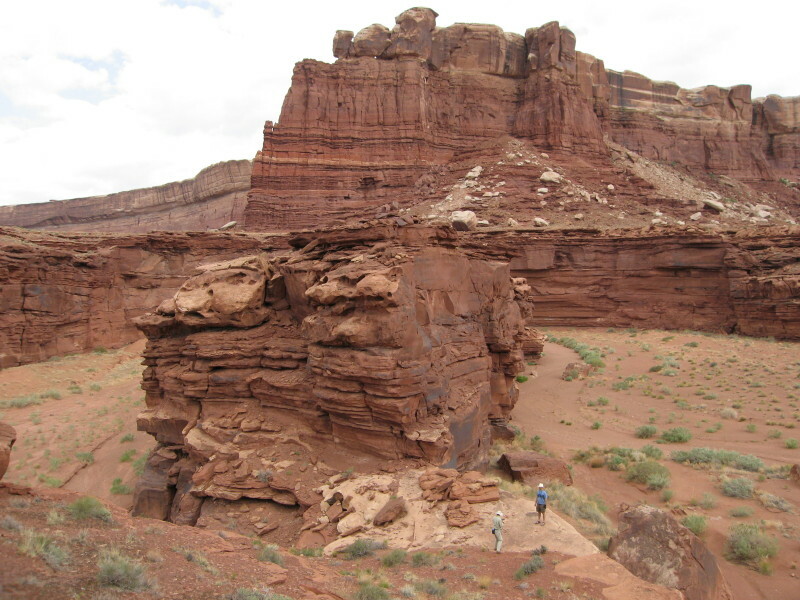 The bands of crumbling Organ Pipe Shale made climbing pretty easy, and while I hoped to see the river, I got some dramatic views of Turk’s Head, a rock formation downstream. Once past that section, we arrived on a plateau with Turk’s Head ahead of us. We met up with Dave and Mark a few minutes either, and the 5 of us undertook a circumnavigation of Turk’s Head. It was a fun hike, but our ultimate destination, a set of rock art called the “boulderglyph” eluded us. There’s actually a lot of other things to see up on this plateau, including some ruins, so I’ll have to go back. 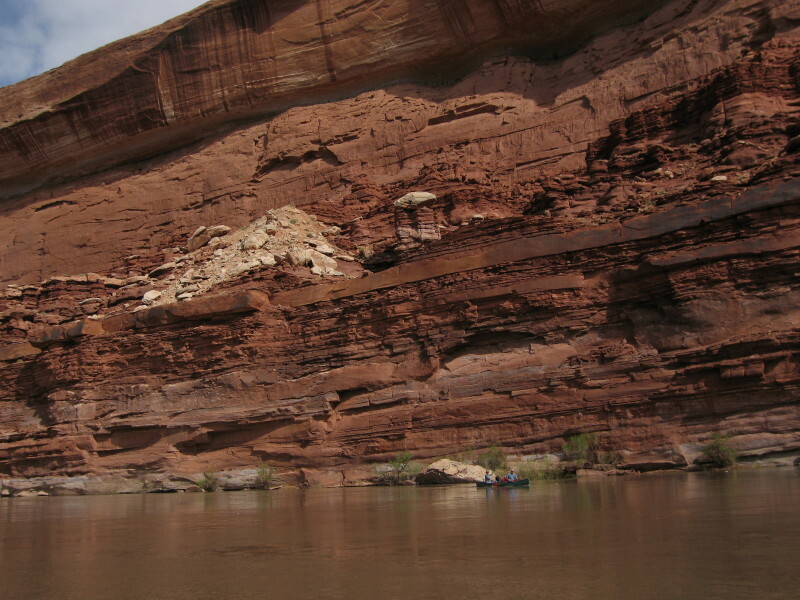 Back at the river, Dave and Mark again paddled ahead, and we again explored another side canyon. This one was pretty short, but fairly dramatic. I’ve been struggled about what to write here. I’m going to try, but it will probably come out as corny or superficial. 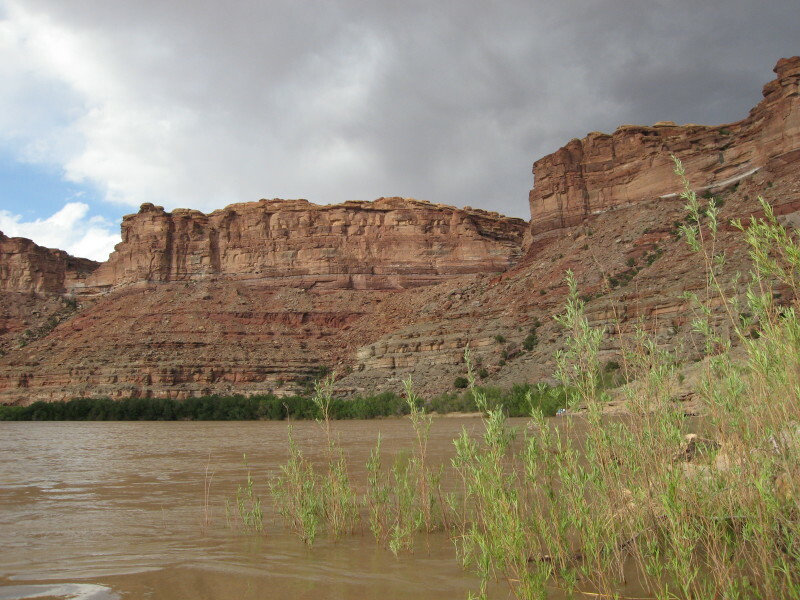 In this canyon, the rhythm of making and breaking camp, the hikes in the blazing sun, the tranquility of floating down the river, the soreness in my muscles, and the overwhelming always-changing panoramas, suddenly became almost too beautiful to bear. The happiness that had been building in me for the past few days suddenly roared into a crescendo of joy. I threw my arms in the air and shouted with ecstasy. The passion of being alive, the thrill of each and every breath, the happiness of simply being ALIVE, just completely filled me. This happened two months ago, and while the occasional drudgery of day-to-day existence still sometimes gets me down, the memory of this pure crystalline moment, a pure existential moment of Nirvana in a nameless, otherwise insignificant side canyon, remains with me as the highlight of the trip. Years from now, if I remember nothing else from this trip, I will remember this moment. One of the scarier sections of the trip occurred later in the day as we paddled downstream. At this point I was paddling with Paul, and Kevin was ahead of us in the kayak. Storm clouds had gathered overhead, and rain was threatening. Out of nowhere, we suddenly saw a gust of wind blowing upstream. It hit Kevin in the kayak a few hundred feet ahead of us, and his kayak instantly spun around. I had about half a second to slide down from my seat in the canoe into a more stable kneeling position and start paddling like mad. The wind hit us head on, and suddenly we were engulfed in swirling whitecaps. Keeping the canoe facing into the wind, and not going sideways, was suddenly both extremely difficult and absolutely essential. We paddled as hard as we could, angling for the shore, as wind whipped up and rain splattered against us. When we made it, we looked back to see the other two boats doing the same thing. The wind left as quickly as it came, and a few minutes later the incident was over. 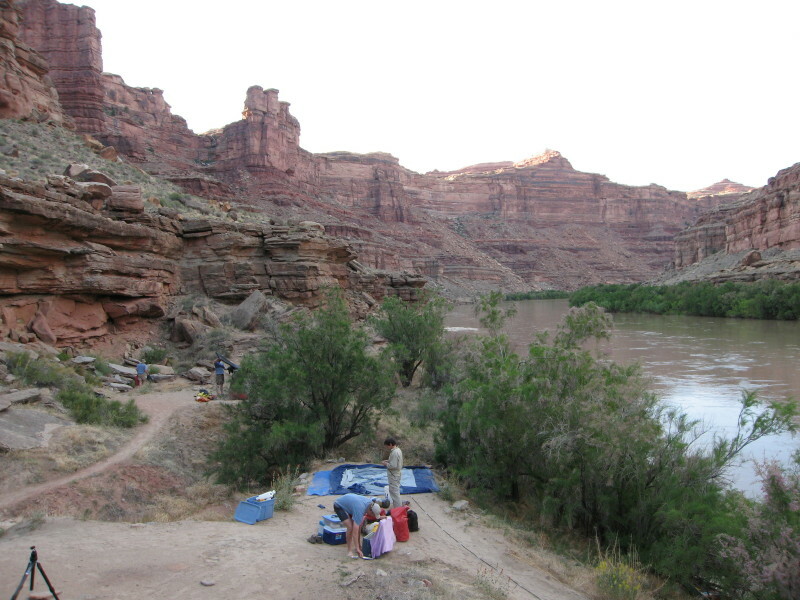 It was pretty late and people were tired when we found a campsite at the mouth of Water Canyon. I found a few tentsites, and then set out to explore a little more of the canyon under the pretext of looking for additional camps. 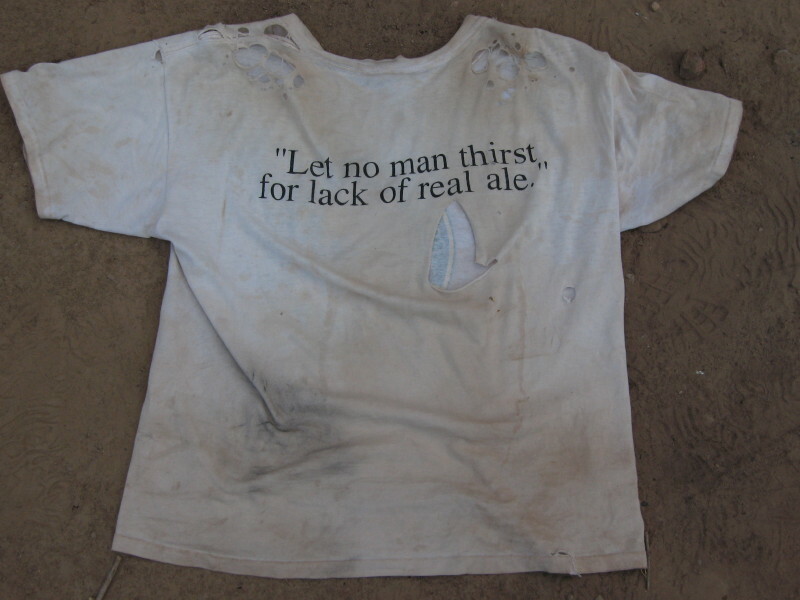 On my first desert trip, I wore a Commonwealth Brewery t-shirt that Mark had given to me as a gift. 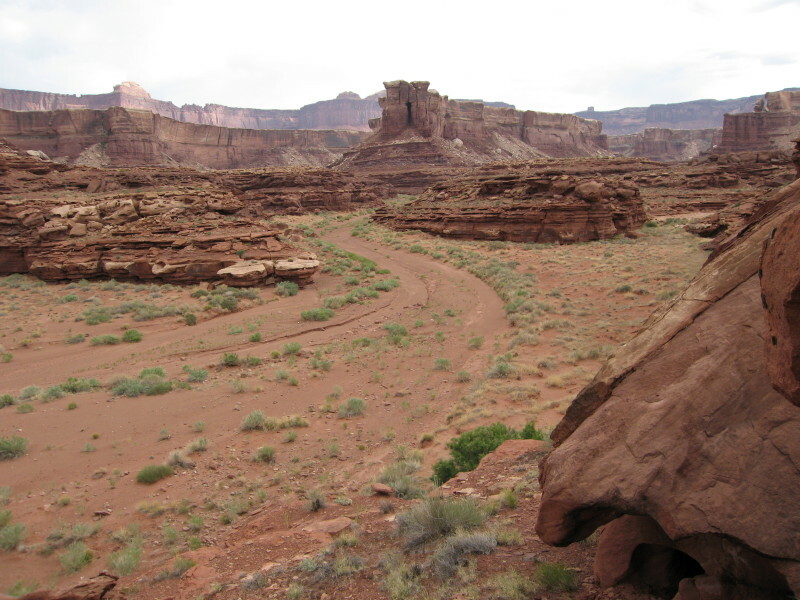 A few hours after that trip started, it was stained brown in the muddy pools of the Buckskin gulch. 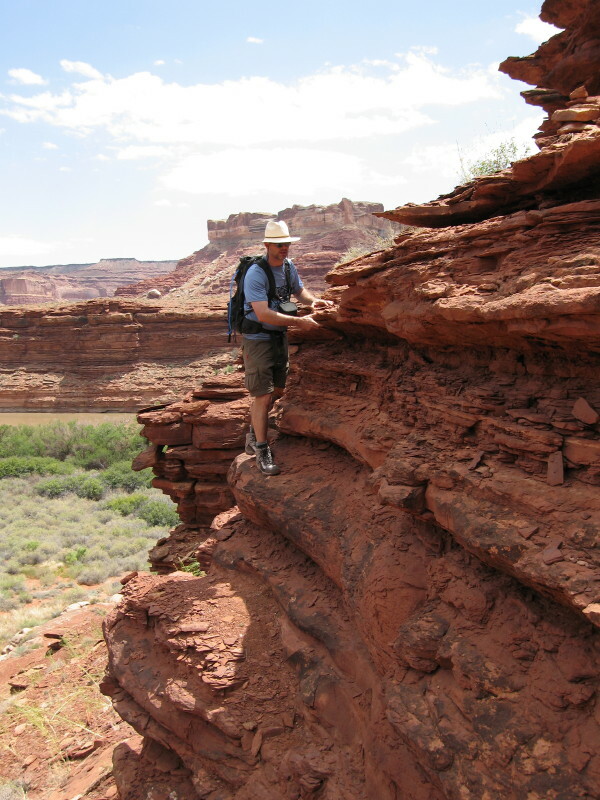 I have worn my “desert shirt” on each and every desert backpack and day hike since then (and usually every day of those trips). As this trip went on, I added another tear in the now paper-thin fabric every time I took it on or off. The shirt has served me well, and we’ve been through a lot together, but at last I realized there wasn’t enough fabric left on the shoulders to hold it together for even one more day. With extreme reluctance, my desert hiking shirt was finally retired at Water Canyon camp. Goodbye, old friend.